Want to deck your dining room out like a footballer's mansion, but can't afford the million pound chandelier? 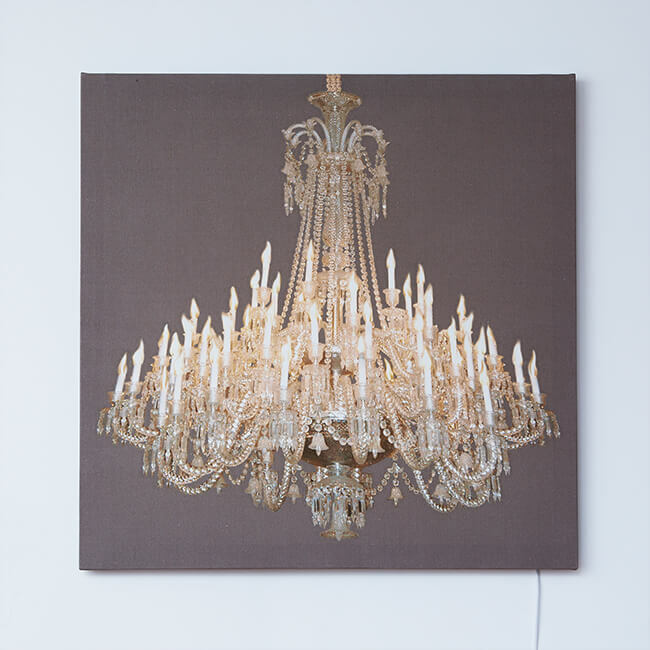 These chandelier Glo-Canvases offer the solution. 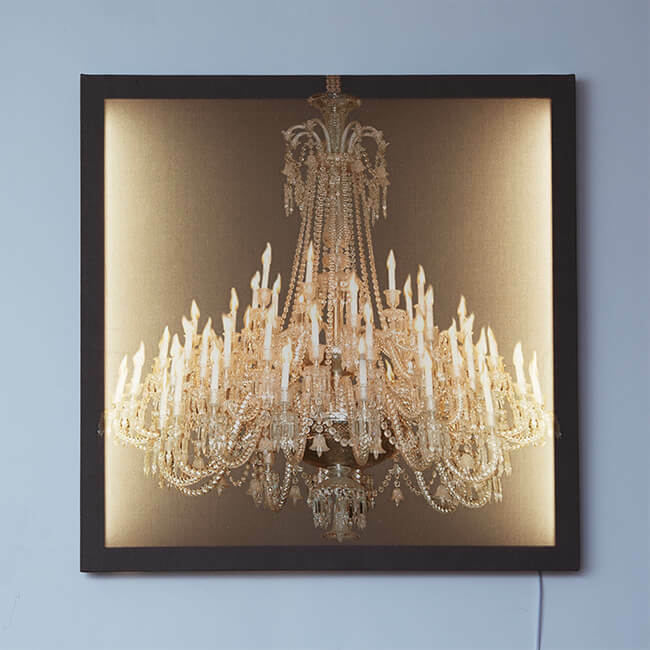 Combining opulent bling, with minimalist chic, the Glo-Canvas chandelier will brighten up your room and be light on your pocket. Canvas 100% cotton. Wood from Forest Stewardship Council managed forests and other controlled sources. Low energy, long-life fluorescent bulbs. Glo-canvases come with a 2m cable with plug and switch attached, they are also designed so they can easily be wired into wall electrics by a qualified electrician, and controlled from a light switch.